Increasing the gratitude you feel on a daily basis makes you more trusting of others, a nicer person, and of course, more appreciative. This leads to improved marriages and better social lives, which are important for your overall quality of life. For more about how gratitude makes you happier, read this article. Keeping a gratitude journal is one proven method for improving this quality in yourself. Not only is it a surefire way to make time for this new, important practice, but it helps you train your mind to search for more reasons to feel grateful. A Beautiful Design: Let’s face it, humans are aesthetically-driven beings, and as a result, we are more likely to use a product if it looks nice. Get a journal that you like to look at, and you’ll also like to write in it. 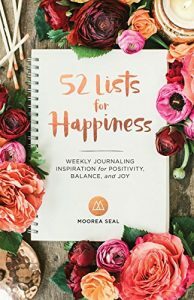 A Clear Objective: Some gratitude journals will help you increase your productivity, while others are intended to foster more happiness on a daily basis. Find out what’s important to you so you can choose a gratitude journal that fits in with your personal goals. 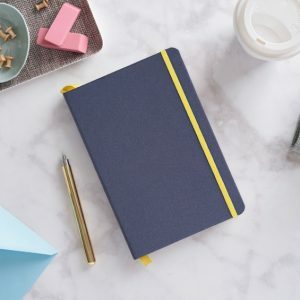 A Fun Structure: The gratitude journal you end up choosing should be structured in a fun or entertaining way, otherwise there’s not much of a difference between using that and a typical spiral notebook. 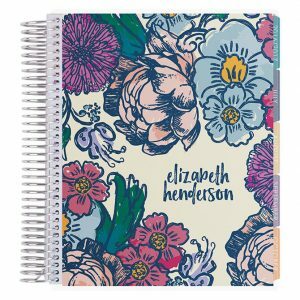 The more fun you have using your planner, the more likely you are to stick with it. 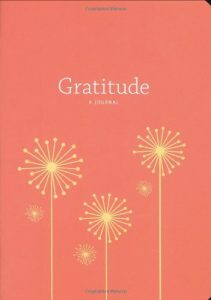 Considering the qualities above, we’ve found some of the best gratitude journals available on the market. 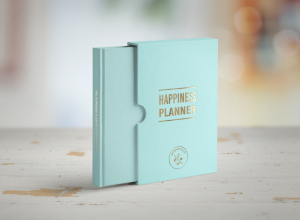 This planner starts with multiple exercises that will help you make your own “happiness roadmap” and look deeply at yourself. This includes becoming more aware of your dreams and hopes, weaknesses, and strengths. You are then meant to spend time (100 days) planning ways to integrate new habits of happiness into your existence. The main goal here is to make your days into positive experiences while making introspection a daily habit. This book has tasteful and beautiful earthy and pink tones, with a hardcover design. The list titles are separated by category: Acknowledge, Reflect, Transform, and Invest. 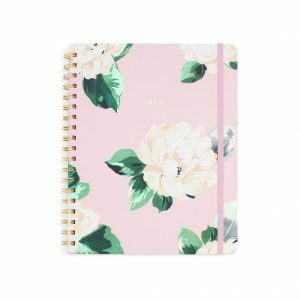 Each of these lists comes with two pages included and throughout the book are photos of flowers, landscapes, and more, to increase the visual experience of using the planner. You will also find a bookmark ribbon in the book. Too many goals fall flat because they don’t have a clearly defined start, middle, or ending. With the SELF Journal, you make a roadmap spanning 13 weeks, rather than relying on vague timelines. This calendar will help you beat procrastination once and for all, encouraging you to fill out time slots with productive activities. In addition, you are instructed to plan out the following day so you can stay on task, doing what’s important for your goals. 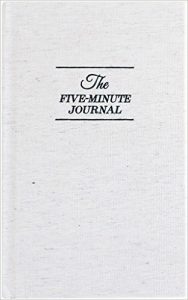 Utilizing proven principles of psychology, this journal packs a lot of value into a short period of time, twice a day. This charming journal, Today I am Thankful, is handmade from earth-conscious, recycled material, with archival inks. 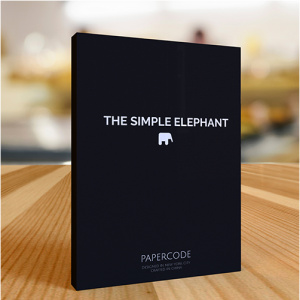 It comes with gold foil print, a mini pencil, and makes a wonderful gift. This planner will help you keep track of the little blessings you encounter each day. The keepsake book is full of inspiring quotes, insightful writing prompts, and plenty of extra room for you to reflect on what adds value to your life. There is enough material in here to last you a year. 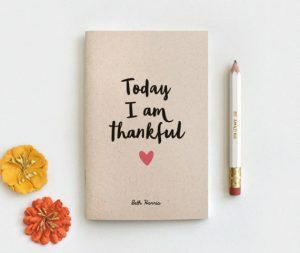 A great gratitude journal is the first step to becoming a more appreciative person, but what other steps can you take to make sure this new habit sticks? Commit: The first step for becoming more grateful in life is to commit to practicing. Vow that you will be more grateful, in writing, then post it somewhere highly visible as a reminder. Get Creative: Following guidelines is a great place to start, but don’t be afraid to think creatively about how you can increase your gratitude. Commit to finding new ways to appreciate life, each day. Act Grateful: Acting grateful is a great way to instigate the feeling. This can mean always remembering to say “thank you,” writing thankful letters, or simply smiling more. Use Mindful Language: Focusing on positive words and subjects (such as abundance, blessings, and fortune) will help you stay focused on gratitude.